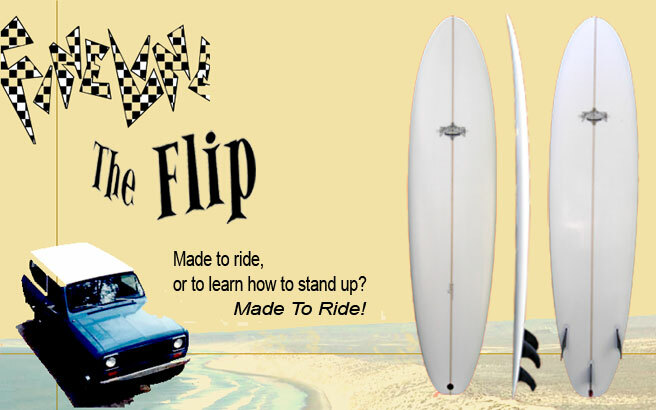 A funboard that’s meant to ride. Low volume rails feel the wave, rather than ride on top of it. Low entry rocker gobbles up waves, high tail rocker turns where you want it to. I originally designed this board as an alternative to a longboard for shortboarders faced with small, mushy conditions. Future or FCS tri-fin setup..